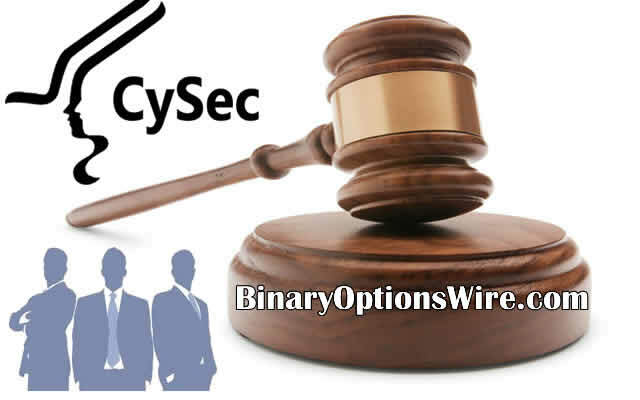 Discussing how CySEC, the financial markets regulator in Cyprus, which is a very popular hub for forex and binary options online retail trading providers, has gradually stepped up its gear and became much stricter and demanding vis a vis its regulated brokers and CIFs (Cyprus Investment Firms), is a regular topic here on binaryoptionswire.com. Indeed CySEC keeps proving that it now means business and expects brokers to shape up and comply. The watchdog wants to change its tarnished image of being too lenient with brokers and a type of “flag of opportunity” for brokerages of doubtful quality and integrity. Within this framework, it announced on 25 November that following its April 2015 decision to wholly withdraw the Cyprus Investment Firm authorization with number CIF 095/08 of Pulp International Business Ltd, which operated via the domain www.fxpulp.com, it imposed a fine on the company’s shareholders, namely Said Salem and Shaher Hasanain, in the amount of €150.000 each, while also prohibiting them from exercising a professional activity in the financial sector for a period of five (5) years (until November 2020). Moreover, CySEC announced that in the case of fxpulp.com, the way forward is the Initiation of the compensation payment process by the Investor Compensation Fund for Clients, since it has been ascertained that the Company (as a member of the I.C.F.) cannot fulfill its obligations towards its clients. Today, even more serious and high profile decisions were announced by CySEC in the form of heavy fines on 4 companies and a “settlement agreement” with a CIF, namely IronFX. As the latter is part of an on-going saga, it will be dealt with in a separate post. The four CIFs fined by CySEC as well as the amounts they are called to pay are as follows: Reliantco Investments: €123,000, WGM Services Ltd: €340,000, Depaho Ltd: €233,000, and Pegase Capital Ltd: €300,000. The fines were imposed due to infringements of the relevant legislative framework currently in place, which inter alia include failure to keep proper activity records, inadequate procedures in handling complaints, lack of measures to avoid unjustified operational risks, providing certain services without having the proper licence, and failure to provide clients with suitable and comprehensive information. Besides imposing fines on them, CySEC also told the firms in question to put measures in place to improve their internal procedures and practices thus fully complying with their legal requirements. Such measures should be taken within two months ahead of fresh compliance audits to be carried out by the regulator. Next articleWhat’s the essence of the Iron FX settlement with CySEC?